Join us for this final autumn bird walk. We will again expect to see most of our winter resident species that have returned to our area for the winter months. We may be fortunate to catch some of the northern finches and some other bird species that have been predicted to migrate further south this winter. Of course we will see many of our year-round resident birds that frequent Curtis Arboretum. Directions: Meet at the parking lot adjacent to the Dog Park in the Arboretum, which is accessed from Washington Lane. Using public transportation, walk about 1 mile from the C Bus or the 22 Bus from the corner of Cheltenham Ave. and Washington Lane. 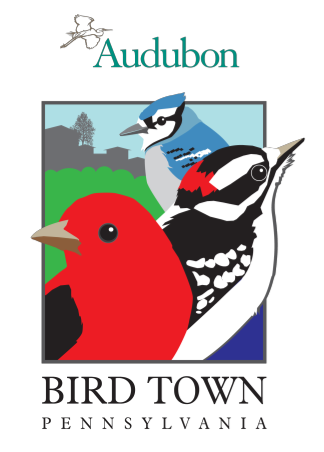 All are Invited: Join Wyncote Audubon to look for birds in Cheltenham Township on the second Monday of each month, September through December 2018. All walks are held from 8:00 to 10:00 a.m. We will keep an ongoing record of birds seen and heard, and document which birds are nesting in the Township. All levels of birders are invited to participate. Bring binoculars if you have them. Wyncote Audubon will have binoculars to loan if anyone needs to borrow them. We will help anyone who needs to learn how to correctly focus his or her binoculars. 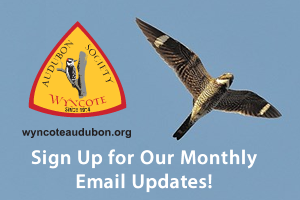 Contact Leigh Altadonna, President Wyncote Audubon, wyncoteaudubonsociety@gmail.com or call Judith Gratz, Environmental Educator: (215) 896-7804.